The last few weeks have been busy, so there’s quite a lot of news to catch up on. I had a wonderful time in Belgium and Germany, playing shows together with Will Z, Alice Artaud, B’ee and Elysian Elderwood and returned home with an exciting stash of records I haven’t yet had time to listen to. 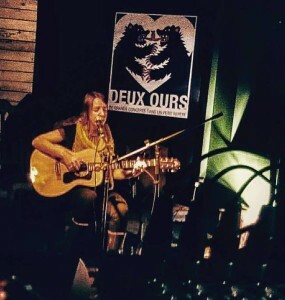 My favourite venue of the tour was Deux Ours in the tiny town of Nandrin near Liège, which looked like a hunting lodge from Twin Peaks, decorated in antlered deer skulls, sepia photographs and other odd and fantastic items. 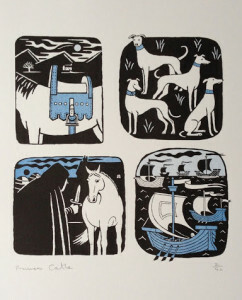 Whilst I was away, Frances Castle at Clay Pipe has made a couple of lovely risograph print sets based on the artwork for my album and they’re available to order from the Clay Pipe Shop. 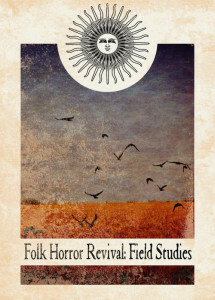 Just published by Wyrd Harvest Press is Folk Horror Revival: Field Studies – a collection of essays and interviews on folk horror-related subjects. It includes an edited version of the paper I gave at A Fiend in the Furrows – ‘Subtle Magic and the Thrill of The Wicker Man‘, together with essays by Adam Scovell, Phil Legard, Andy Sharp and interviews with Philip Pullman, Alan Lee, Julia Jeffrey and Drew Mullholland. 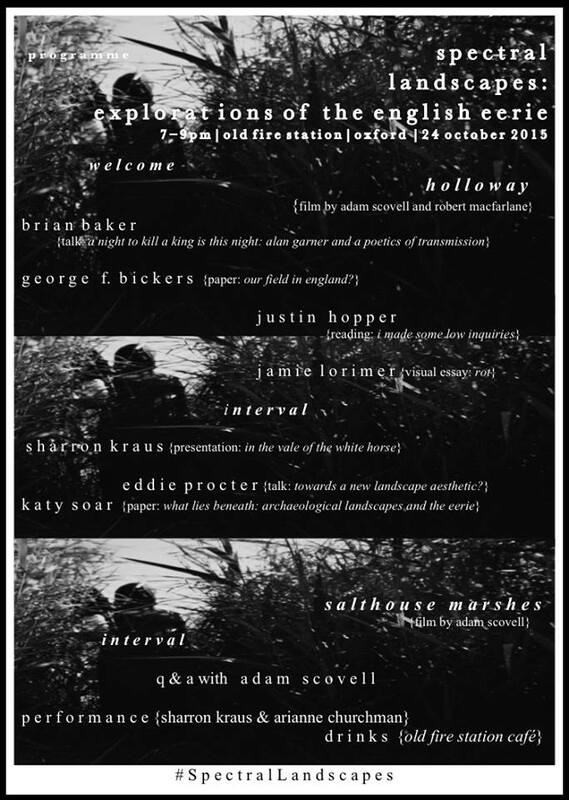 Spectral Landscapes: Exploring the English Eerie was an event I’d been looking forward to for various reasons – I’d be returning to Oxford, my hometown for many years, reconnecting with some old friends as well as sharing a stage with artists and academics I’ve recently been crossing paths with. I was more excited about my contributions to the evening than I’ve been for a long time: I was stepping outside my comfort zone and was presenting a talk about landscape rituals called ‘In the Vale of the White Horse’ accompanied by a short film I’d made using footage of the Uffington White Horse and Waylands Smithy and with a soundtrack I’d created using recordings made in Philadelphia about 10 years ago with musical and magickal collaborators. I’ve been experimenting with film since the beginning of this year, and being able to show something I’d worked on to this audience was an amazing opportunity. Because I was so excited about performing in this way with Arianne, my brain wasn’t in the most focussed state to take in what the other speakers offered, so I’m hoping that Spectral Landscapes will be repeated – taken on tour, even. 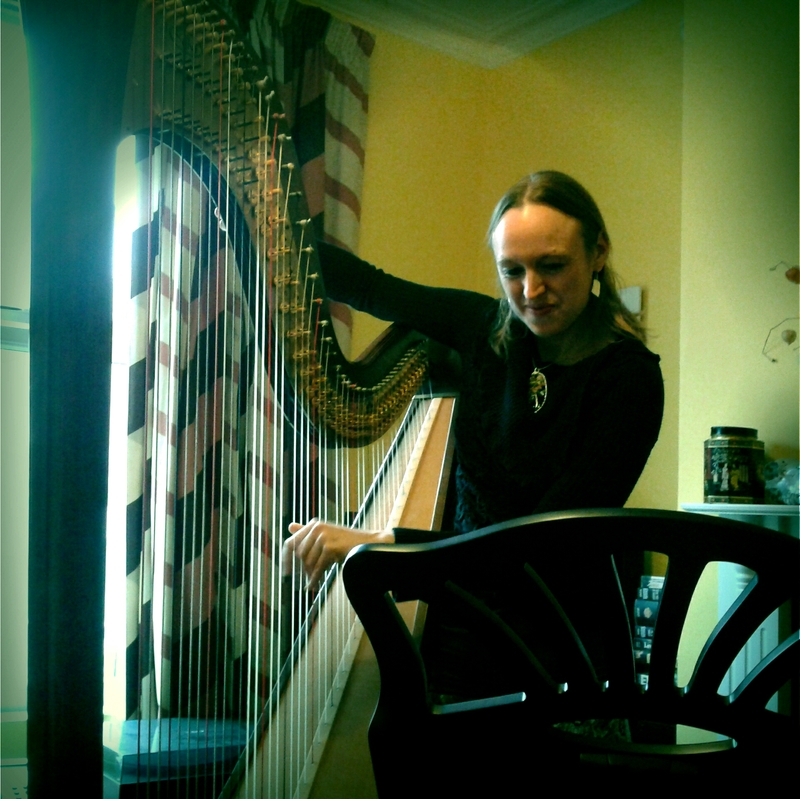 The day after I got home from Oxford, Harriet Earis arrived in Sheffield with her enormous pedal harp to play a couple of gigs together. The first was at Bishops House – an atmospheric Tudor house/museum perfect for our Mabinogi-inspired songs. As well as being a wonderful harper, Harriet studied medieval Welsh as part of her degree, and is as interested in the stories of the Mabinogi as I am. 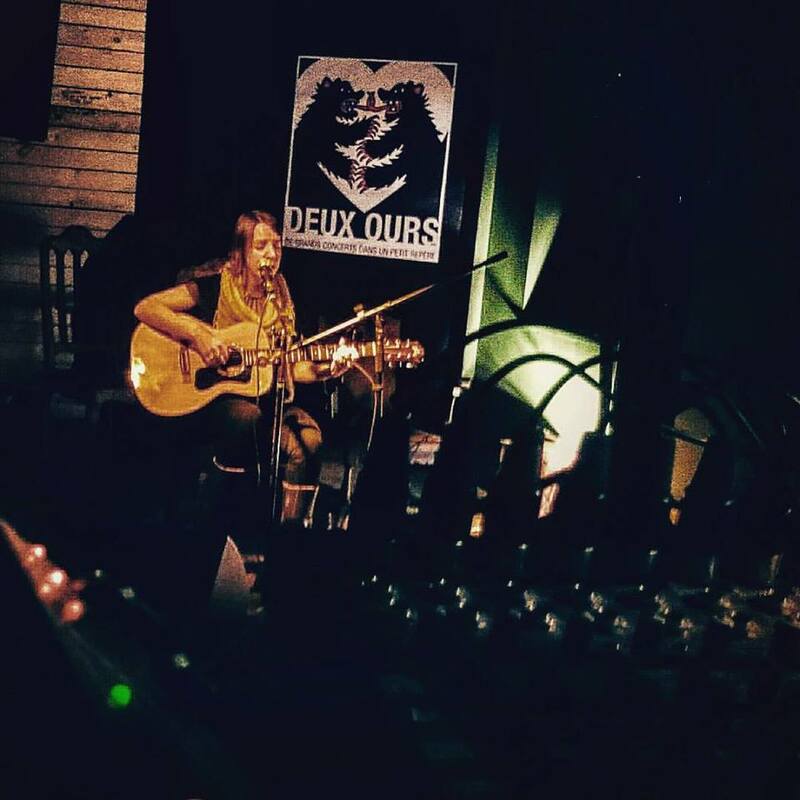 It was a real pleasure to play these songs with her, but just as enjoyable was the way we talked together about the stories and the songs in between playing. That audiences I’ve been playing these songs to have been enjoying hearing about the stories as well as listening to the songs is something that makes me happy, and doing this together with Harriet is the best. 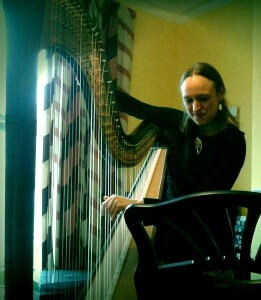 Harriet tuning up before the gig. Our second gig was at Loughborough University and followed a workshop I did with some of the Drama, Creative Writing and Art students there. The workshop was called ‘Working with Myth’ and was designed to get the students thinking about ways in which mythic structures, themes or images could inform their creative work. 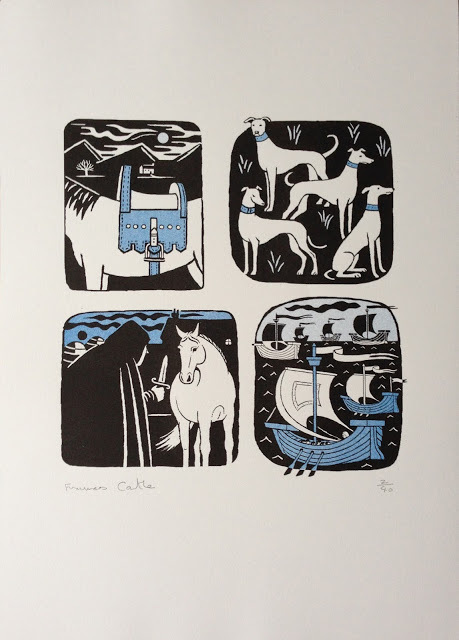 It was good to get the opportunity to think about what it is about the stories in the Mabinogi that I find so inspiring, and about what it is about stories with a mythic component that makes them so powerful. It’s the first workshop of this kind I’ve given and I thoroughly enjoyed working with the students, watching their thoughts develop and seeing what they came up with. I hope I’ll get more opportunities for this kind of thing in the future.